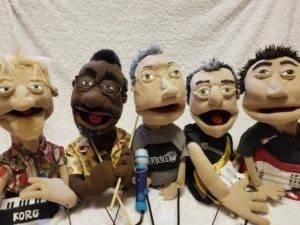 Here’s where I gush about my favorite band, Ween, and show off the puppets I made of each of the band members. Gene Ween (Aaron Freeman) and Dean Ween (Mickey Melchiondo) are the founding members of Ween doing all the music. They were joined by Claude Coleman Jr. on the drums, Dave Dreiwitz on the bass, and Glenn McClelland on the keys. My Dean and Gene Ween puppets made their debut in 2016 at the San Francisco shows. The other three band members’ puppets were completed mid 2017. We’ve traveled to 7 different states to share them! SF is our home base and Ween played three times here. We traveled to Las Vegas, Bend, Redmond, Dallas, Denver, Portland, Nashville, and Atlanta. 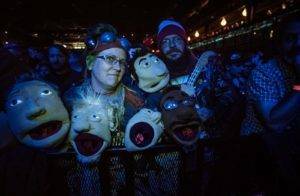 Now I cannot bring in the boys to every show, but since 2016, the Gener Puppet has been to 17 shows, Deaner Puppet 16, Claude 6, and Dave and Glenn 5. Check out the galleries and contact me if you happen to have any photos! All of these shows were incredible and the fan meet ups were so much fun. I met so many people and made lasting friendships with some of the most creative, unique, and fun individuals. Sharing the Ween puppets with everyone was such a treat! Ween isn’t on tour this year, so it is time to work on other projects. 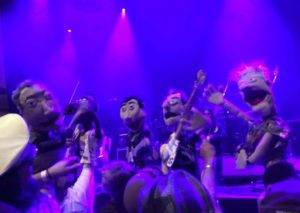 Hopefully there will be some live puppet and cover band shenanigans in Oregon later this year! I have also made a several Boognish puppets, 2 big flans and several flan finger puppets, a yellow worm with teeth, and many, many Boognish Dwarf Finger Puppets. Needless to say, so much more has come out of this passionate Ween puppet project than I could have ever imagined! During the SF 2016 show, Dave notices the puppets and brings it to Papa Gene’s attention. He says “Puppets! That’s amazing! Now it’s all fucked up!” This totally made my night! 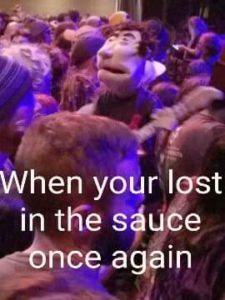 Someone made a meme of my Deaner puppet right after the first SF show. Please forgive the misspelling! 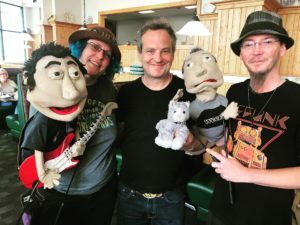 Dave meets Deaner and Gener puppet in Redmond, WA at a pancake house. It was thrilling and so neat to meet a rockstar I love! 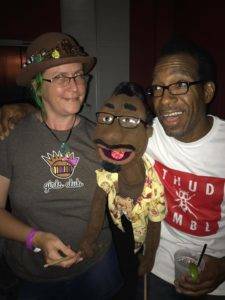 Claude got to meet his puppet in Oakland when he toured with Angelo Moore in 2017. We were in the Dallas Observer along with lots of other great fans dressing up for the HalloWeen show in Dallas in 2017! 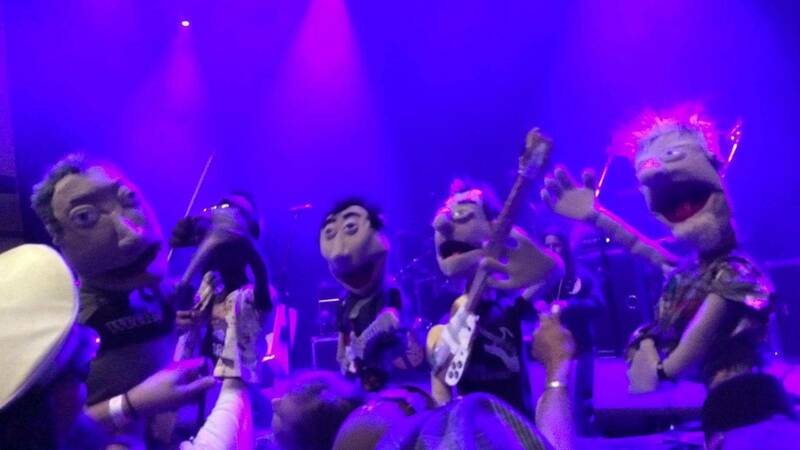 The first group appearance of the Ween Puppet boys was at the Masonic in SF 2017. I will add more later soon!